Home / Blog Posts / Trends / The Power of Make-up & Why we Love it so Much! 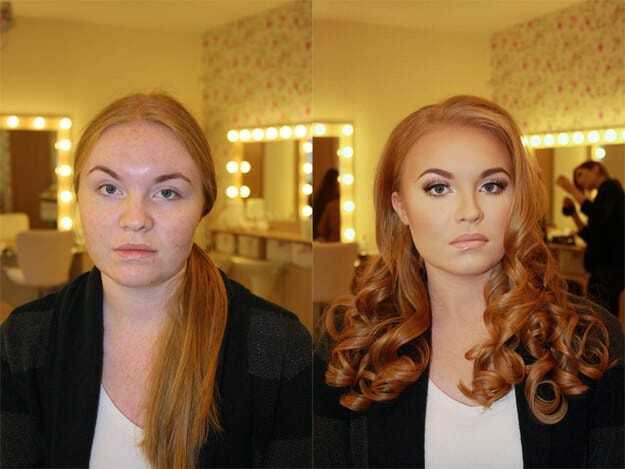 The Power of Make-up & Why we Love it so Much! The beauty of the world wide web is that we can see and share so many things we wouldn’t ordinarily be able to enjoy and get involved in. One of these things is make-up as an art, and the fantastic and incredible things talented people can do with it. At Nanshy we love make-up, and we love nothing more than being able to admire and appreciate the work people do with make-up, spending hours scouring the web in search of impressive make-up looks. 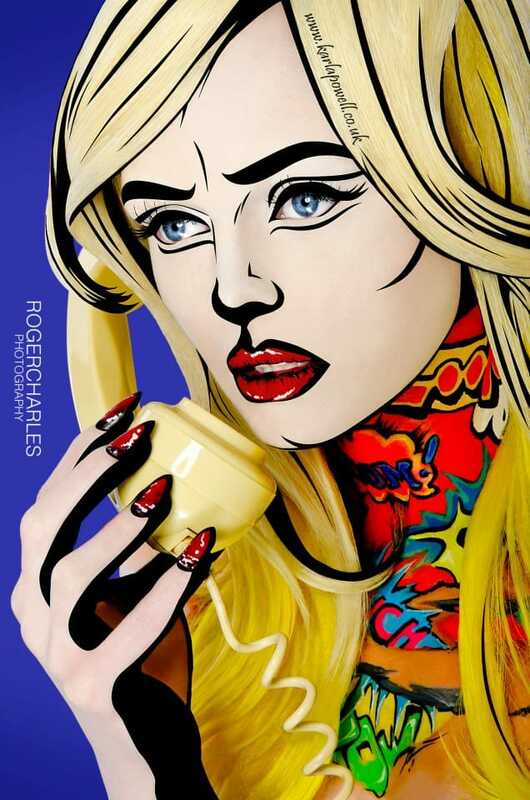 This insane make-up look is inspired by pop art, and it was debated whether it was actually a drawing. But the creator Karla Powell has cleared up rumours, stating it is in fact a real life model made up to look like a pop art creation. 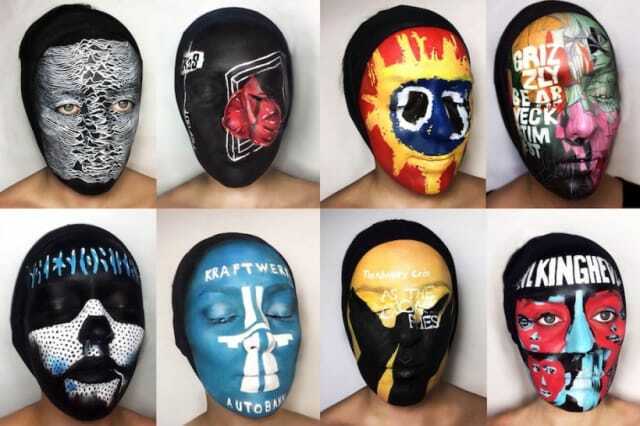 When make-up artist Natalie Sharp used her own face as a canvas, to recreate record covers in honour of record store day it’s safe to say the results were impressive. Top tip: Think outside the box, see make-up as an art for projects like this, rather than something to create every day beauty. Foundation sponges and make-up tools apleanty are a must! We all know make-up can give us confidence and help enhance our natural beauty, but can make-up completely change your image? It seems so with these impressive before and after shots. Top Tip: Contouring can help to shape the face, adding definition. To contour choose a powder or foundation a few shades darker than your skin tone, apply to the hollows of the cheeks, down the sides of the nose and under the chin. You’ll need a good quality foundation or powder brush to get this right. 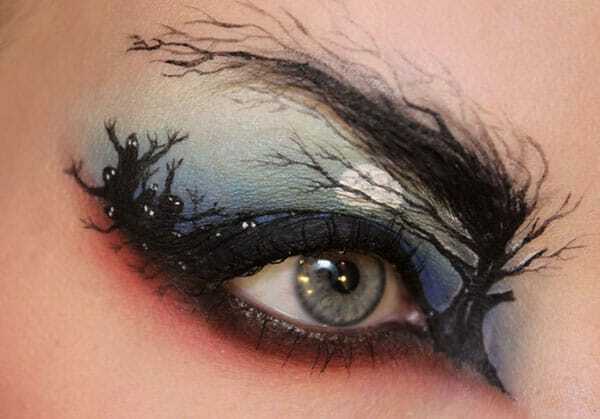 After the huge nail art trend, a new and even more creative trend is starting to emerge, eye art. Make-up artists and beauty enthusiasts have been getting creative and putting together beautiful and unique eye make-up designs which you can take inspiration from. Top Tip: Make these looks wearable for every day by taking small elements and creating your own more wearable look. Take inspiration from the bold lines and colours. A great set of eye make-up brushes is essential! High fashion make-up is something of a marvel, and anything goes, making for some outstanding and extremely innovative looks. High fashion make-up tends to be high impact, it evokes an emotion or opinion from those who see it, often complimenting or contrasting fashion trends. Top Tip: If you want your make-up to set you aside from the rest take inspiration from high fashion make-up, using one element to create a stand out look. You’ll need a complete set of make-up brushes to create a high fashion look. Since as far back as we can see a lot of attention has been paid towards enhancing the eyes, but recent trends and new technologies mean that the lips are taking centre stage, with foil lip transfers, glitter for the lips and jewels now being applied to the lips for a stand out look. Top Tip: Apply lipstick with a lip brush for a long lasting bold colour. Use tweezers to carefully apply jewels to the lips after dabbing with facial glue, pat on glue followed by glitter to make glitter fix to the lips for a bold look, make-up tools are key to achieving a professional look. What are your favourite creative looks you’ve seen recently? Maybe you’ve had a go at something or come up with a really creative look yourself, let me know, and don’t forget to share this with your friends!